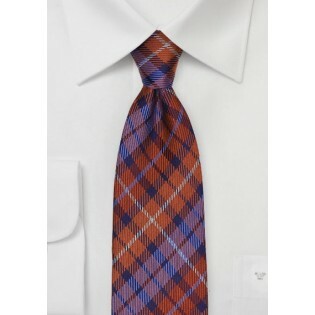 This Scottish tartan plaid from Parsley is made from a unique blend of colors like burnt orange, persimmon red, lilac, navy, and silver. It looks particularly striking with a wool jacket in olive green, brown, and navy blue. 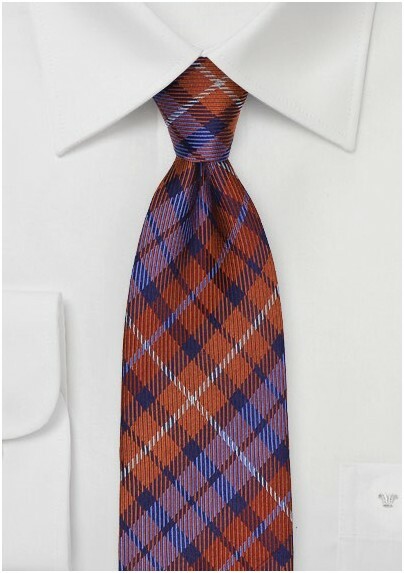 Made by neckwear designer Parsley, this 100% silk tie is perfect for any occasion! Fabric: 100% Woven Silk | Length: 58", Width: 3.0"